There are many reasons you should be conserving water at home, the main two being that it will save you a lot of money in the long run and that using too much water is wasteful and harmful to the planet. However, all of us use copious amounts of water and it is sometimes a little tricky to see where we can cut back. Luckily, we’ve got a few sneaky tips on how to save water, even in the busiest of homes! This may seem a little strange, but trust us, it’s a perfect way to conserve water and one that once you’re in the habit, you’ll wonder why you didn’t start using this sneaky little trick before! 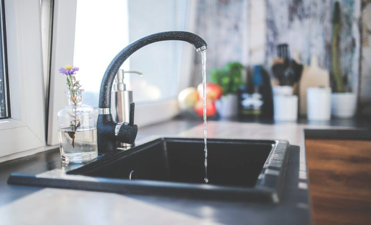 Think of all the water you waste at home from tasks such as: rinsing vegetables, rinsing utensils, boiling food (such as eggs and certain vegetables). If you’ve not used a harsh cleaning solution or chemical product, the chances are that you’re throwing away perfectly decent water. Although you may not want to use this ‘dirty water’, it can be used for so many other things, such as: watering plants and washing the yard. Be creative when using up leftover water, just ensure that it only contains unharmful elements, i.e you’ve not used any harmful products (such as bleach) with it. Whilst some people have no problem in collecting rainwater to drink and cook with (if you do this, you should first check that the area you live in has safe to drink rainwater. Regardless, you should do your research on how to properly filter and sterilize the rainwater first anyway), many haven’t got the time, nor do they really want to do this method of recycling rainwater. Instead, conserve rainwater to put in birdbaths, wash gardening tools, water the plants, and even flush the toilet! If you have a habit of turning on the tap and leaving it whilst you do something else, you’re wasting a huge amount of water. Try to only turn on the tap when you actually need water. This means when you’re brushing your teeth, washing your hands, washing the dishes, and more. Just don’t leave the tap running! Consider washing yourself or other items in a bucket or tub. This will conserve so much water! You can also fill up the wash basin for the same results. If you love icy cold water to drink, you probably have to leave the tap running for a number of minutes before it’s at the right temperature for you. Instead of doing this, keep a jug, glass or other kind of container in the fridge especially for water. Top it up frequently and you’ll always have a refreshing drink at hand, stopping you from wasting a load of water. A leak in your home may not seem like a huge deal if it is only small, however, there are so many different reasons as to why you should have it fixed as soon as possible. A small leak will save bucket loads of water in the long run, plus, leaving a leak only runs the risk of future larger problems (such as an even bigger leak, or even worse, mold and water damage in your house). Get leaks fixed quickly to avoid spending even more money on repairs and wasted water further down the line! We all love to spend a long time washing the stresses of the day away, however, try to keep extremely lengthy showers to a minimum as the amount of water you’re using will build up, as will the price of your water heating bill. For everyday showers, keep them quick and only use up the water you need. Do you ever try and flush away products down the toilet? Earbuds, sanitary products, excessive tissue paper, cigarette butts and more? If the answer is yes, you need to stop. Flushing away anything other than natural waste increases your water usage. This is because the water needed to clear away the excess junk increases. Instead, have a waste paper basket in your bathroom where cotton pads and buds, extra tissue paper and more can be thrown into instead. This will also reduce the risk of pipes becoming blocked, so it’s an all-round great solution. Garbage disposals are great but when they are used often, they use up copious amounts of water. Rather than throw everything in the garbage disposal, invest in a compost bin. It will save you money and is a fantastic solution for the earth too. We understand that everyone wants to have a sparkly and well looked after car. However, there comes a time when it becomes too much. Only give your car a good clean when it really needs some TLC. Better still, take your car to be washed professionally and ask them how they cut back and reuse water for the best environmentally friendly option. If you simply have to wash your car every weekend, use a bucket instead of opting for a hosepipe. When it’s time to wash a pile of clothes, you should always make sure your load is perfect. This means no overfilling or underfilling your machine! Putting a huge load of clothes into your washing machine will mean that clothes are not washed properly, meaning you will have to wash them again – what a waste of water! The same goes for loads that are extremely small, yes, your clothes will get washed well but by repeatedly putting in small loads of clothes, you’re wasting a lot of water. Wait until you have a reasonably sized pile of clothes before banging them into the wash. The same applies to colors, fabrics, delicates, etc. Make sure you’re putting the correct clothes together, so that you don’t have to waste water rewashing and/or correcting mistakes. Sometimes we can all forget to take meat out of the freezer for dinner, resulting in us trying to defrost it quickly and conveniently by placing it in a bowl of water. This is great for a quick fix but if you are stuck in this habit, think of how much water you’re using up unnecessarily every day! Plan ahead and defrost meat and other food overnight by placing it in a covered dish in the refrigerator. It conserves water this way and is actually arguably healthier. If you have an old-fashioned home, the chances are you have certain old-fashioned appliances that are not energy efficient. The toilet, washing machine and dishwasher are three household appliances that use up a considerable amount of water. Check to see if there are any other models that are more modern and could save you using a lot of water. Pop a lid on top of your cooking pans to trap water and create steam. Doing this will speed up cooking time (cutting back on gas and/or electricity) and means you will conserve much more in the pan than you would sans lid. The ways listed above only scratch the surface of ways for you to save water in your household. There are multiple ways you can conserve water and cut back on bills in your own home. It all depends on how you already use water and to what extent you want to cut back. However you decide, if you start to make changes now, water saving habits will soon become second nature to you and will result in heaps of positive results for you and your family in the future.